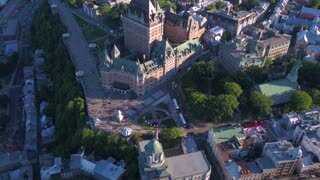 QUEBEC CITY, CANADA on July 12th: Apartments, shops and Chateau Frontenac in Quebec City, Canada on July 12th, 2016. 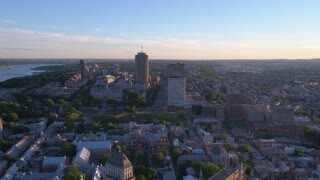 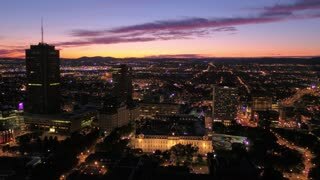 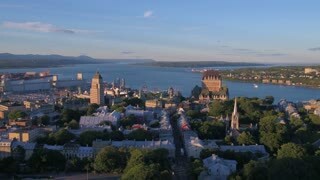 Quebec City or Ville de Quebec in french, is the capital of the province of Quebec in Canada. 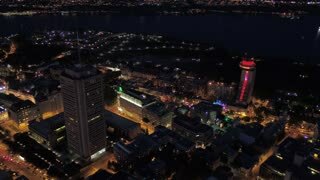 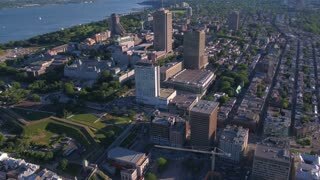 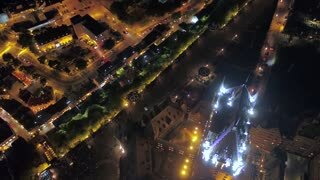 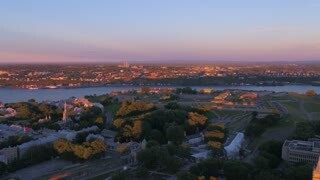 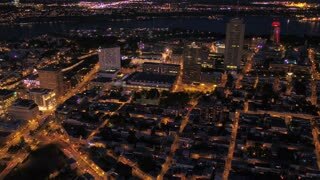 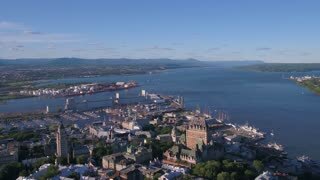 Quebec City Frontenac Boardwalk Hyperlapse. 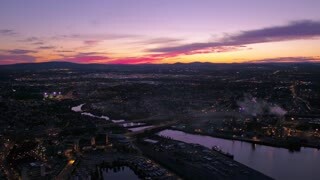 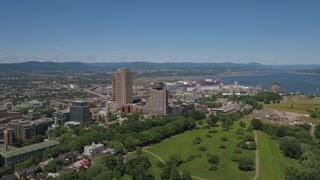 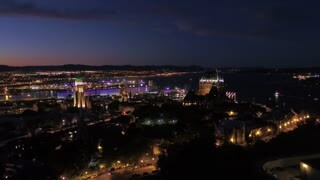 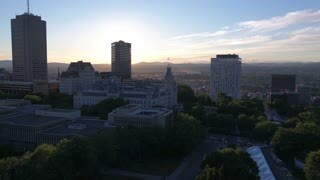 Hyper lapse shot along the boardwalk in Quebec City near Chateau Frontenac. 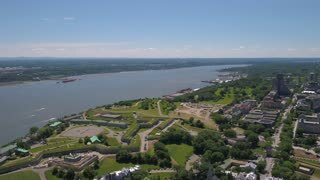 The old fortification of Quebec city in Canada. 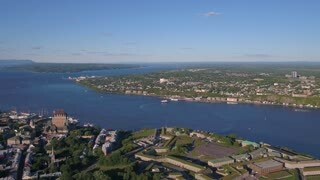 It's possible to see the beautiful Frontenac castle. 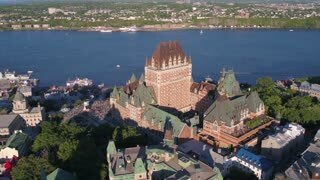 A shot of the infamous Frontenac Hotel in Quebec City on the Saint Lawrence Seaway in 1958. 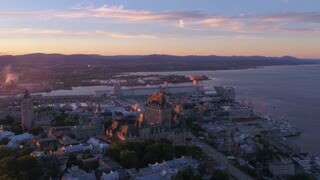 The beautiful Frontenac castle in Quebec city, Canada.